2 X New APEROL SPRITZ GLASS 51ml You will receive 2 x BOXED Glasses MAN CAVE BAR GIFT. Condition is New. Dispatched with Royal Mail 2nd Class. 2 x Bombay Sapphire Glasses. New in the box. Great glasses. New listing2 RARE BOMBAY SAPPHIRE GLASSES - BLUE HEAVY BOTTOM - GIN & TONIC TALL TUMBLERS. You are buying 2 x beautiful tall, blue tinted, etched Bombay Sapphire glasses. The perfect gift for any G &T lover. Pair Of Aviation American Gin Glasses. Condition is New. Dispatched with Royal Mail 2nd Class. Check out my other glasses I have for sale. Genuine product. Stylish and elegant with the unmistakable "Jack Daniels" embossed logo. This varies depending on your location, and the options are displayed at the top of each ad. 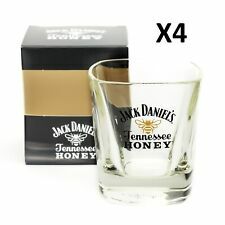 Combine this with our other JD products to make your own personalised gift set. 2 X Tanqueray Gin Large Green Copa Goblet Balloon Glass Brand New. Condition is New. 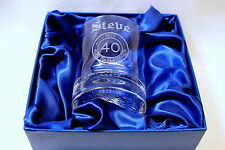 You will receive 2 x Boxed Gin Glasses Great items Dispatched with Royal Mail 2nd Class. Christmas is just around the corner, so why not treat a loved one with a personalised gift to for them to treasure?. This Stern Whisky Glass is perfect for that extra special present and it's sure to be loved! Lovely glass would make a great present for any gin lover. The perfect addition to your gin cupboard, these beautiful wide-brimmed glasses are sure to be topped up over and over again! Designed in such a way that the volatile oils from the orange peel garnish will hit the nose first, these Copa glasses are a great finishing touch.., allowing you to enjoy the Ultimate G&T experience. 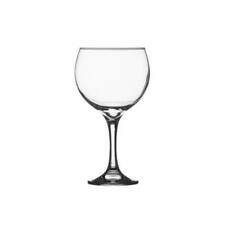 These stunning glasses stand a impressive 21cm with a 9cm diameter,holding 62cl and weighing 0.243kg The Ultimate glass for your G&T These beautiful glasses would enhance any bar, collection or make a super gift. Will dispatch immediately and contents will be secured safely. Sorry bottle not included. 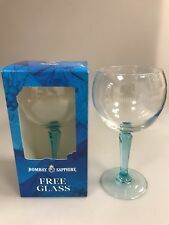 A gift boxed Bombay Sapphire Gin cristal balloon glass with square base. This stunning cristal glass stands a impressive 20.5cm with a 9.5cm diameter, weighs 0.304kg and holds a whopping 68cl. Made from Ritzenhoff cristal in Germany The Ultimate glass for your G&T This beautiful glass would enhance any bar, collection or make a super gift. Will dispatch immediately and contents will be secured safely. 2 X Shackleton Blue Whisky Tumbler Glasses. Scotch Blue Glass. Beautiful blue glass. Advertising Whitley Neill handcrafted dry gin. Large stem bowl glass, approx 19.5cm tall (a bit less than 8"). Collection available in person from Rushden, Northamptonshire, about 6 minutes way from A45 and/or A6, NN10 area. This is for 2 Aperol Spritz Glasses - boxed and brand new. The Aperol Spritz:- Aperol, a splash of prosecco, some soda water, lots of ice and a wheel of orange - sunshine in a glass. Whisky / Mixer Glass. Glass Tankards. Pint Glass. High Ball Glass. Wine Glass. The contract between us shall be governed by the Laws of the United Kingdom and any dispute between us will be resolved exclusively in the courts of United Kingdom. 2x t an qu er a y gi n balloong la ss es b ra nd n ew. 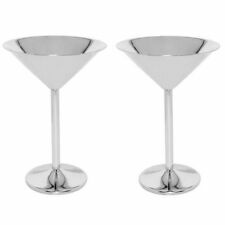 Get the perfect serve for your Brockmans Gin and Tonic with this set of 2 Brockmans Gin Glasses. And it's not all looks. The balloon shape has enough room for ice, to chill your drink to the perfect temperature, whilst also capturing the aromas of the gin. 2 x Beautiful Beefeater Balloon glasses, enjoy your favourite drink in these lovely glasses. Ideal gift for the gin lovers out there. A beautiful brand new stunning Grey Goose vodka tumbler glass. Standing 10.3cm with a 7.7cm diameter and weighing 0.335kg they come with a thick base for keeping the ice and your drink colder longer. Simply brilliant. This glasses will enhance any bar, collection or make a super gift. Will be dispatched immediately and contents secured. Fevertree Dartington gin glasses. 48 available. Specify quantity in order. Postage cost dependant on quantity of order. Collection also available if preferred. 2 X WHITLEY NEILL GIN BALLOON GLASSES. WHITLEY NEILL GIN BALLOON GLASSES - BRAND NEW . Condition is New. Dispatched with Royal Mail 2nd Class. Made Of - Ritzenhoff Cristal. Quantity - 1 Glass. Set Includes 2 glasses pipe sippers and 1 wooden stand in a smart gift box. These fun sippers are perfect for liqueurs and spirits. 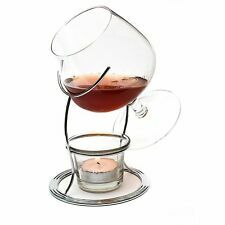 The unique design and shape which molds perfectly into your hand providing warmth and mixes the drink while sipping to provide increased aroma and flavour. Quantity - 1 Glass. 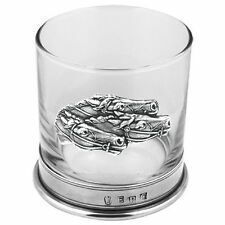 Size - Taster/Shot Glass - 7.8cm tall. For sale Glenfiddich heavy base glass tumblers. Approx 9.5cm tall and 8cm across the top. 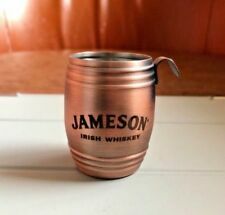 nd Class to 1.
x4 Vintage Jameson Irish Whiskey Copper-Coloured Tin barrel shots. 100% Customer Feedback! Be assured that you're getting a high-quality product, well packaged and promptly posted! Payment: We only accept PayPal as our method of payment because we believe this is the safest and most secure way for both customers and sellers. Shipping: As stated in the order details, we post within ONE Working Day, however occasionally we're able to post on the Same Working Day. Returns: If for any reason you're not happy with the item, once you've posted it back to us (We'll cover the postage cost), then you'll receive a full refund OR a replacement if preferred! 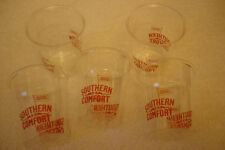 4 x Gin Mare glasses, collectable. Condition is Used. Dispatched with Royal Mail 2nd Class. Two brand new stunning Grey Goose vodka glasses. These beautiful glasses stand a impressive 16.7cm tall with a 6.5cm diameter and weigh 0.323kg Simply brilliant. These glasses will enhance any bar, collection or make a super gift. Will be dispatched immediately and contents secured. MANCHESTER GIN Co. TURKISH DELIGHT GIN STEMMED CHALICE GLASS/VASE-100% RECYCLED!